The must-have book for all Feisty Pets fans! Feisty Pets may look innocent at first, but don’t be fooled! This official handbook is packed with info about each every single Feisty Pet. Includes likes, dislikes, facts and stats about all the latest characters, from Glenda Glitterpoop the unicorn to Vicky Vicious the bunny. Find out what makes your Feisty Pet go from cute to crazy! 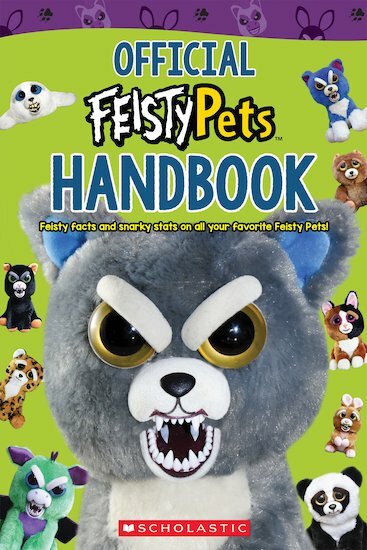 Packed with full-colour pictures of these alternately sweet, scary and goofy plush toys, this guidebook is perfect for anyone who is a Feisty Pet fan. Includes lenticular cover showing a Feisty Pet transform!